Criminal Minds is losing one of their newest players. 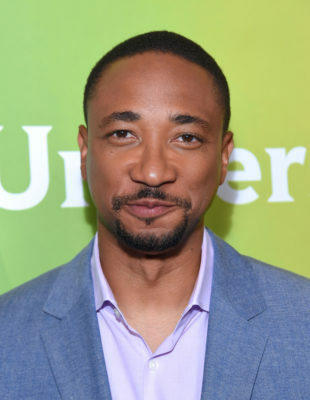 Deadline reports Damon Gupton is leaving the CBS TV show ahead of season 13. Gupton joined the crime procedural last fall after series regular Thomas Gibson was fired a few episodes into season 12. The show’s cast also includes Joe Mantegna, Matthew Gray Gubler, A.J. Cook, Kirsten Vangsness, Aisha Tyler, Adam Rodriguez, and Paget Brewster. According to Deadline, Gupton is leaving because of a creative change on Criminal Minds. Season 13 will be going in a different direction and it’s currently unclear who will return. As we reported earlier, long-time cast members Kirsten Vangsness and AJ Cook are holding out on joining the new season until they gain salary equality with their male co-stars. Those co-stars, Joe Mantegna and Matthew Gray Gubler, have already signed on for season 13 of Criminal Minds, which is slated to debut this fall on CBS. What do you think? Are you a fan of Criminal Minds? Will you miss Gupton on the CBS TV show? new (EQUAL work for EQUAL pay) contracts, I’m very happy. Good luck to Damon. I don’t care if Damen returns….. Damon who? Where have u been all these Seasons? u’d Know who someone is! All over to 2 many different shows! he plays on each show is real! All the actors on the CSI shows were good! Someone choose one of them!